As rugby’s premier event reaches its finale, VisitBritain is ready to engage with the rugby world as England prepares to host the Rugby World Cup in 2015. The event will add to a blossoming £2.3 billion sports tourism industry which sees around 3 million overseas visitors each year enjoying some sort of sporting event in the UK. Qatar Buoyed by its successful World Cup bid, the country has begun to indulge a seemingly insatiable desire to host global sporting events. In August 2011 Qatar officially launched a bid to host the 2020 Olympics and Paralympics. It has submitted a bid for the 2017 World Athletic Championships, and has expressed interest in hosting the Grand D part for the 2016 Tour de France. This is all bolstered by Qatar’s sponsorship of a myriad of sports events and teams. Pyeongchang has been awarded the right to host the 2018 Winter Olympics following a vote in Durban, South Africa. 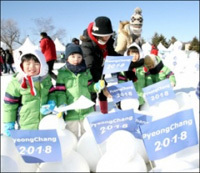 Bidding for the third consecutive time, after being defeated in competitions for the 2010 and 2014 Games, the South Korean city beat rivals Annecy and Munich in Germany. Annecy, in France, had been considered the outsider going into the vote, while Pyeongchang had been expected to take the prize. Munich has hoped to become the first city to host both a summer and winter Games. The Bavarian capital staged the summer Olympics in 1972. A total of 95 International Olympic Committee (IOC) delegates cast their votes during the ballot. International visitor arrivals to Thailand surged 24.4 percent to 8.2 million in the first five months of the year, according to new figures from the Tourism Authority of Thailand (TAT). Jumeirah Group, the Dubai-based luxury hotel company and member of Dubai Holding, celebrates the victory of its global brand ambassador, golfer Rory McIlroy, in the US Open at the Congressional Country Club, Bethesda, Maryland, USA. The 8,000-mile route for the London 2012 Olympics torch relay route has been revealed, and will cover every nation and region in the UK and includes island visits. A search for 8,000 “inspirational torchbearers” also begins today, the London Organising Committee of the Olympic and Paralympic Games (Locog) said. The torch will leave Land’s End, Cornwall, on the morning of Saturday 19 May 2012 - the day after it arrives in the UK from Greece. France has won the rights to host the 2018 Ryder Cup, the first time the tournament will be held in the country. The 42nd edition of the biennial match will be staged at Le Golf National in Versailles, just outside Paris, which has been the venue for 18 of the last 20 French Open tournaments. The victory comes despite a late surge by the Spanish bidding team for the tournament to be staged in Madrid following the recent death of Severiano Ballesteros, who had been campaigning for to be played in his homeland for the second time. Thailand’s growing power as a Sport Tourism destination will be on show at this week’s WTTC Global Travel and Tourism Summit in Las Vegas. WSDE looks at how the Land of Smiles is tapping into the fastest growing sector of travel. As travellers are seeking increasingly active holidays, sport tourism has become a key driver for Malaysia’s booming RM55 billion tourism industry, which recorded 24.6 million visitors in 2010. Australia has highlighted the power of sport tourism as integral to its tourism industry, led by events such as the Formula 1 Grand Prix. BTN takes a closer look at how the nation is harnessing sport to attract a global audience. © 2019 Sport Tourism Expo. A World Legacy Event. All Rights Reserved.